Oliver Steindler spent last nine years studying, living and working in Asia. 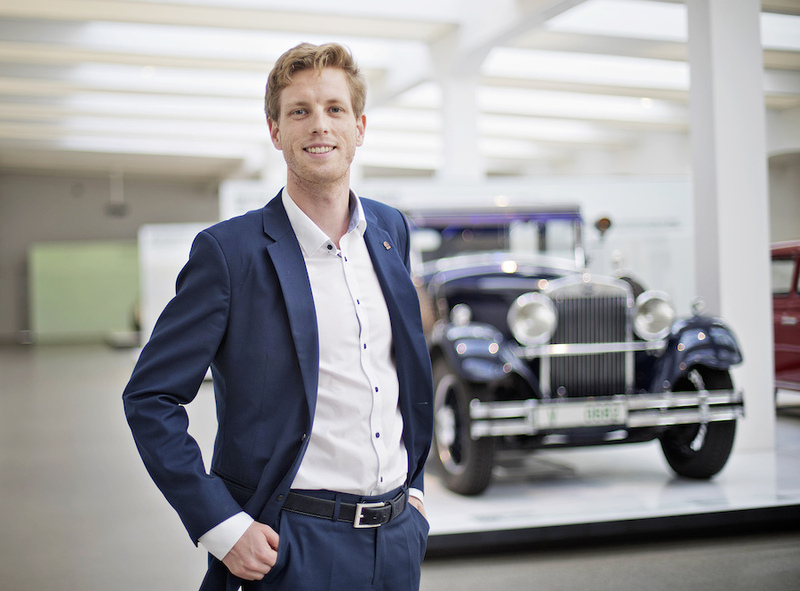 He returned to the Czech Republic in September 2017 to start working as China Region Marketing and Product Launch Specialist for ŠKODA AUTO. His Asian journey originally started by two-year high school stay in Thailand. Oliver further pursued his studies in China, where he obtained a BA in International Business Studies from Beijing Foreign Studies University in Beijing and MA in International Relations from Peking University, ranked as the second best university in China and top 30 in the world. Oliver also spent six months at the prestigious Waseda University in Tokyo, accompanied by internship at the Czech Center in Tokyo. After his studies, he worked for China Television Service as Head of Distribution, providing content to Television networks reaching over 60 million viewers not only across Asia, but also in the rest of the world. When Oliver is not busy reading and writing about Asia, he loves to spend time traveling, lecturing about Asia and practicing Mandarin Chinese. You have returned to the Czech Republic after nine years spent in Asia. I know that many expats and diplomats are prepared prior to their posting but no one prepares them for their re-integration when coming back, which might be challenging as well. I must admit that I had a fear coming back. During last nine years, I have established many friendships, business relationships and also lifestyle in Asia region. I got used to seeing my friends and family only during vacations. The major culture shock for me came in the form of Czechs’ people mindset with regards to China. They all fear China, being scared that Chinese dragon will eventually swallow Europe. China is perceived as an evil, communist country and such notion is passed from one generation to another. However, time has changed and so the nature of the regime. The regime is officially called “Socialism with Chinese characteristics” which in reality reminds of “tough capitalism”. Big multinational corporations, such as Alibaba, Tencent or Baidu are not only considered industry leaders, but they also provide jobs to tens of thousands of people. China also has the largest network of fast railways. Imagine, just in only five hours, you can get from Beijing to Shanghai, the total distance of 1 300 kilometers, travelling more than 300 kilometers per hour. China is becoming a global technology leader in many areas. When someone mentions that we should learn from China in the Czech Republic, no one takes it seriously, there is a lot of prejudice and even panic. Well, looking at the Czech transport infrastructure, particularly highway D1 or Pendolino, China could be a great inspiration. Digitalization within banking systems represent another area that can serve as a model. In big cities, hardly anyone uses banknotes. All payments are done via app and QR codes. Not only at big stores, but also at small laundry services or vegetable stalls on the streets. I travel to China every three months and each time I am amazed at the progress made as these technologies make life simpler. I am aware of the personal data protection and GDPR rules within the EU, as the debate whether to stress more security vs. allow more comfort for the exchange of data, will continue. I also find fascinating that both Chinese and foreigners are willing to discuss the development and share the information. The environment is truly inspiring, the labor market pressure is enormous, which drives people being more active, continue to improve and innovate. Compared to Asia, I perceive Europe as the “ageing” continent. Not only demographically, but also mentally wise. Why not to bring and apply the models proven elsewhere? We tend to be more satisfied with status quo or we tend to judge and concentrate on negatives, instead of trying things differently. I miss the open mindset which for me represents the key to innovation. You suggest that people go and visit China and the region to see for themselves. You claim that China is the world that we can’t perceive through the glasses we put on and interpret it through the experiences we get. China needs time to be understood. I also remember having fear leaving the Czech Republic, prior to arriving in Thailand. After six months, I developed love and hate relationship, as I met some people who were friendly as well as those who were not. The same relationship can apply to China. To me, China offered home for seven years, it offered education and friends. At the same time, I am aware of the negative aspects, particularly pollution and fast development. Big nations and states tend to be polarizing in general. Big and heavily populated countries can naturally cause a fear in small countries. I actually learned more about myself than about Chinese themselves. As I learned the language, my information came first hand from Chinese people. While I was studying my BA in business, I started to study Chinese medicine and acupuncture. These studies exposed me further to 3000 years of Chinese culture through many concepts, such as yin and yang, which can be interpreted as change of day and night but also change of seasons or economic cycles. Yin and yang together with five elements theory also relates to the way we see the food, thus dietology. I started applying these concepts to my own life, particular to work-life balance. Thanks to acupuncture, I was able to get rid of my chronical sinusitis, which I have been suffering for more than a decade. I spent 10 days in Nepal, doing meditation in total silence called Vipassana. Living in China is a constant journey where naturally by experiencing the culture, you get hints and clues not to look outside but also inwards. Yoga, meditation, thinking about what you eat, all these activities enable you to change and adapt your mindset. How did you manage to keep work-life balance, as Asians are generally known for working long-hours? This is another frequent stereotype which is not precise. First, you cannot stereotype a country of 1.3 billion of people. Chinese cities are divided based on income. Tier one cities represent Beijing with 21 million people, Shanghai with 24 million people or Guangzhou 13 million people. People working there follow what can be described as the Western corporate life-style. As we move to provinces, the income drops and the life-style relaxes. Not everyone works hard all the time. The difference grows much more significantly if you compare China to Japan. Chinese work style can be described as a bit flexible and unorganized, everything gets accomplished at the very last minute. Japanese people are more hierarchical, process is more predictable and rules are strictly followed. My first experience with yin and yang occurred during my high-school studies in Thailand. Apart from sciences, we had to do arts, sports and social works. They took us to orphanage and as I was the vice-president of Rotaract, I soon became involved in fundraising. In the West, we often think that poor people are not happy. I could see people less fortunate than we are, but they still managed to keep a positive attitude. They cherished more relations and were less craving for possession. You studied in Thailand, in China and in Japan. What were the differences? High school studies in China are very tough and competitive because of the final national exam which determines the acceptance to the university. Once students are accepted to a university, they become more relaxed. Atmosphere during BA studies in China reminded me more of high-school scenario in Europe. I also was travelling a lot. I could see how China has influenced surrounding countries. In Korea, you get to see many temples with Chinese inscriptions, as China was exporting its culture and heritage in history. With exception, China, as a landlock country, has never pursued an expansionary foreign policy in the long term. The Chinese concept of expansion is of a different nature. Tianxia (Chinese: 天下) that can be translated as “All under the heaven” recognized the Emperor as the center of the universe and once China united, there was no need to expand further. Look at the natural boundaries surrounding China: Siberia in the North, sea to the East, Gobi desert to the West and Himalayas to the south. The expansion therefore took the form of diplomatic and economic influence. Chinese are more traders than warriors. New silk road connecting Asia and Europe follows upon the old tradition. You have often mentioned food, but not only because of its flavor but also a key to the culture. In Europe, each of us has own plate with own food and the tables are usually square or rectangle shaped. Such behavior reflects our atomistic approach in terms of dissecting things, analyzing things, understanding a paradigm for one specific item only, not taking other things into consideration. In China, you have a big roundtable. You share all the dishes with others. The culture is more holistic. In Europe, we focus on contracts and we do not cultivate relationships. In China, you have to go for a lunch, for a dinner, you have to drink. The point of getting a foreigner drunk is to get to know him better. Trust is the baseline. How can you do a business with someone you do not know? This is why much business is done with friends, relatives or based on peer to peer recommendation. Definitely, knowing the language helps you a great deal to get to know, develop trust and better understand your counterparts. This being said brings me to the beginning. People who are interested in the region should travel there and try to be exposed to the culture as much as possible, since “ We don’t see things as they are, but as we are”.